Former Detective, Rob King has joined Kings Security to lead the Kings Intelligence Service (KIS) team. Rob’s appointment comes on the back of investment in the latest version of its KIS platform, which aims to offer Kings Security clients a fuller intelligence cycle, by bringing multiple data sources together onto one platform. Rob takes up his role after moving from the Post Office, where he was Head of Security Operations for three years. He has over 30 years’ experience in intelligence, after serving 20 years at the Metropolitan Police Force as a detective and within the anti-corruption department. Rob also worked for the Jockey Club, leading anti-corruption within horse racing, before joining the William Hill estate. KIS has been developed to help identify crime hot-spots and profile criminal activity by allowing users to analyse crime data such as; what time of day and week burglaries or shop thefts are happening and which security measures are most effective. Kings Security is now taking the next step to ‘closing the gap’ by collating dossiers of evidence to handover to local police forces. 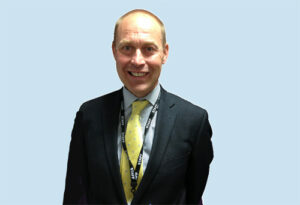 Rob’s remit at Kings Security is to oversee the strategic delivery of KIS and to build on police engagement. IP video security for the full house!